Plaster Guards and Cover Plates – Canplas Industries Ltd.
Vaculine plaster guards fit over the mounting plates and protect the piping system from any debris or damage while home construction is ongoing. 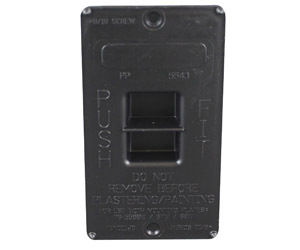 Cover plates match other outlet covers, providing consistent wall appearance and while continuing to keep the piping system clean before the central vacuum system is put to use. 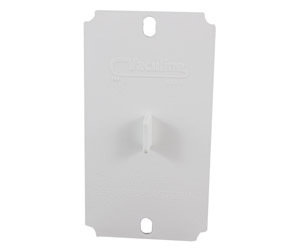 Vaculine rough-in cover plates match other outlet covers, providing consistent wall appearance before the central vacuum system is put to use. 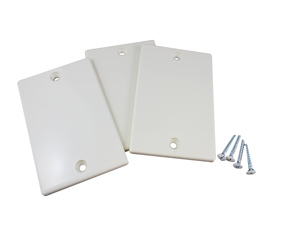 Installed to prevent damage of most rough-ins plates, mounting plates and backup plates during new construction. Installed to prevent damage of Vaculine all-metal mounting plates. Covers the opening of a rough-in central vacuum piping system.